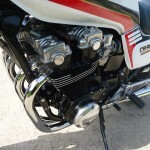 Restored 1981 Honda CB900F Motorcycle. 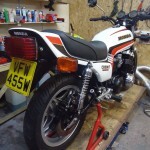 This CB900F was fully restored by its owner. 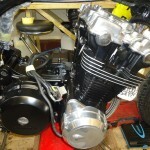 The bike was completely stripped and rebuilt. 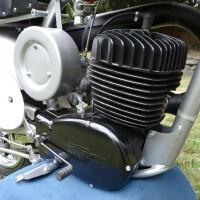 The engine was stripped and re-bored. 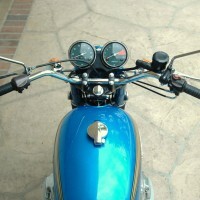 The wheels were stripped and painted. 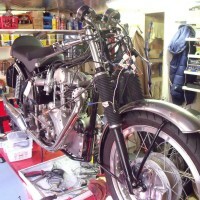 The wiring loom was checked and cleaned. 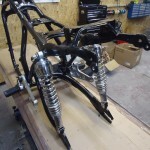 The forks were stripped, rebuilt and painted. 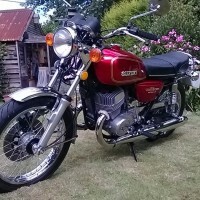 All of the alloy parts were cleaned and polished. 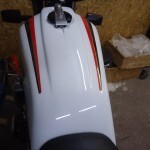 The bodywork was stripped and professionally re-painted. 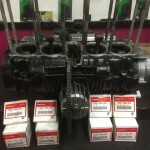 Every nut and bolt was checked and replaced if required. 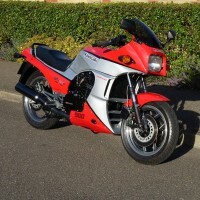 A really great restored Honda CB900F Motorcycle. 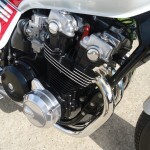 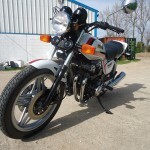 Honda CB900F – 1981 For Sale or Wanted? 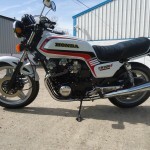 If you're looking for the perfect Honda CB900F – 1981 for sale then take a look at the hundreds of restored classic motorcycles listed on our extensive Motorcycles For Sale pages. 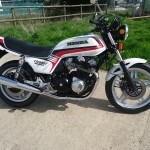 We regularly feature very nice restored Honda CB900F – 1981 bikes for sale. 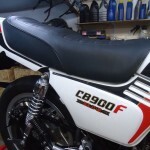 Spares and Parts for your Honda CB900F – 1981? 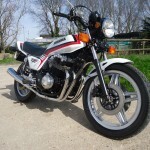 Workshop Manual for your Honda CB900F – 1981?